Here at OntarioACHI one of our prime missions is to ensure our members reap the benefits of agreements we can arrange with suppliers. The benefits we look to obtain are ones based on products or services that inspectors might need as part of their daily operations or long-term business plan demands. In order to achieve these benefits, each member must remember to complete their profile fully here. 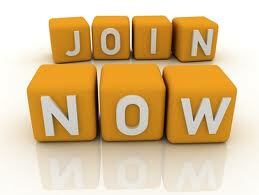 Don’t forget you need to be a member in good standing to access this page. Once your profile is fully updated we can produce a plastic membership card for you which will have a QR code that suppliers can read to ensure you are entitled to your benefits. † Average savings are based upon, but not limited to, typical full-time inspector operating at 5-10 Inspections per week offering ancillary inspections (e.g. IAQ), accepting credit and debit cards and marketing via various sources. The dollar saving will vary depending upon the level of service or quantity of product required by each inspector.